It feels like it's been awhile since I did a proper WHY IT WORKS post so I'm making up for lost time by posting 3 gorgeous photos today. 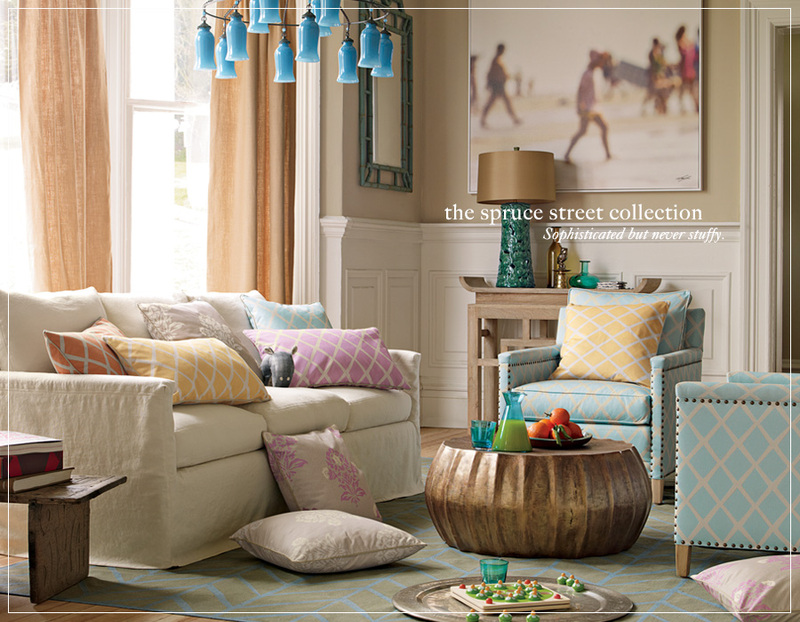 These are from the newest Serena and Lily catalog. Drool worthy once again! What I love about Serena and Lily's look is that it always feels well traveled, collected, fresh and approachable. Here are a few more specifics about what I love! Unexpected chandelier. I'm a sucker for great lighting! Color Palette. Coral, pale yellow, soft blue and lavender. Gorgeous! Mix of textures. Ceramic lamp, silk shade, weathered wood console table, metallic coffee table mixed with great textiles. Perfection. What a great example of that white 4 poster bed I talked about a few weeks back. Simple, but adds just a hint of drama. White. I'm really drawn to the freshness of this all white room. Walls, window treatments and furniture. White does not have to feel cold. This room feels airy and calming. Finishing touches. Loving the gorgeous chandlier, artwork and bed linens. Color Palette. Orange, white and soft aqua. Love it. Saturated colors. Blues, teals, and greens all broken up with just the right amount of white. Wall art placement. Kids need to have art hung at their level. These pictures are placed for perfect viewing for the kids who will be hanging out in here. Texture. Love the woven stools and the metal lantern. 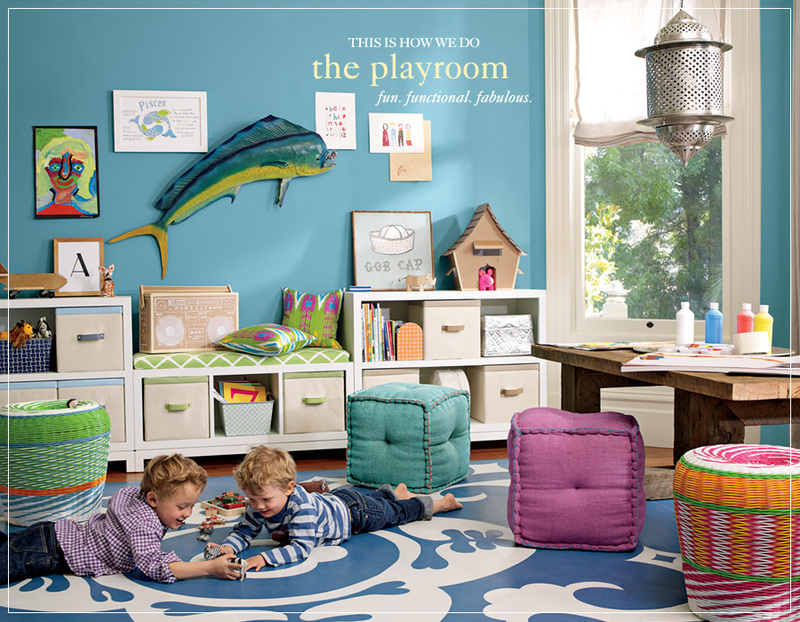 Style belongs in kid spaces too! By the way... love the floor? Serena painted it!